Another winner from Merumaya, the day cream! I used to laugh at the idea of day cream. What day cream? I use a separate sunscreen protector. But then I came across of the idea of day cream from the Japanese skincare whereby day cream is actually the sunscreen! But instead of just protecting you from the sun it’s actually packed with extras because your hydration during the day comes from milk lotion or emulsion and not your day cream. It’s supposed to work as a protector so that whatever you put beforehand works in harmony on your skin. So I accept the fact that day cream is not a joke. Also, I come to seek for a good day cream because I use multiple layers of skincare because it seems to work best for my dry skin. If I have to use separate moisturiser and sunscreen it sometimes feels too “heavy”. As such, I look for a good day cream. On the day that I only go out for a meeting and not for the whole day, SPF 15 and some bit of PA would be acceptable because after 4 hours you need to reapply anyway to make it an effective protector. I apply this after my oil, that’s why I just want to simplify using a day cream instead of a separate moisturiser and sunscreen. You know how I love Merumaya Recharge Night Cream and how I enjoy their signature scent eversince I first try their cleansing balm? So there’s no surprise that I got myself a Merumaya Youth Preservation Moisturiser SPF 15. The people at Merumaya called this Power of 3 because it gives an effective moisturisation, anti-oxidants to fight all the nasties (sun rays, pollutions and external agressor) and SPF 15 protection to protect you from photoageing. All of you must know by now that I’m kinda obsessed with Hyaluronic Acid (HA) serum. 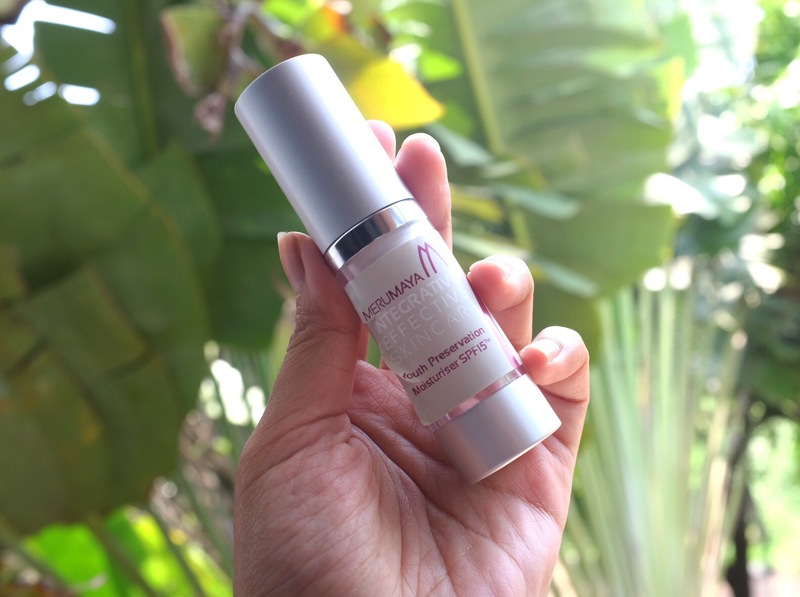 Not only that it makes my skin bouncy and supple, serum that contains high concentration of HA tends to keep my dry and parched skin well hydrated all day long. Despite how dehydrated it is. Now, one of my favourites HA serum would be Indeed Laboratories Hydraluron which is super affordable because it costs at around USD 30. However, it’s not the only HA serum in the market. 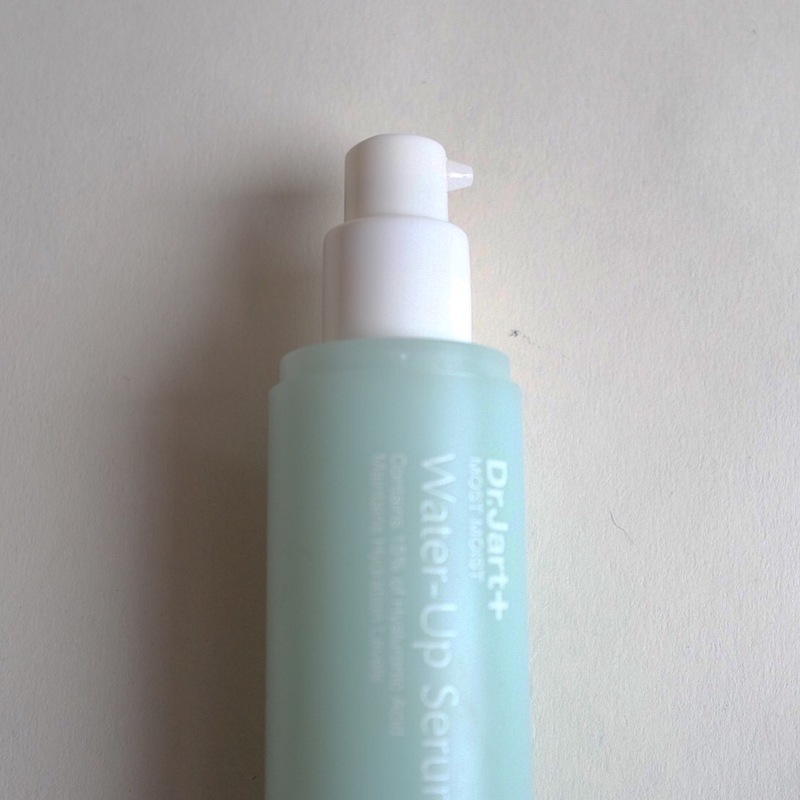 Let me introduce you to another HA serum that I’m fond of: Dr Jart Most Moist Water Up Serum. It’s a gel serum that said to have 15% micromolecular HA that will give skin extra boost of hydration hence giving the skin enough cushion so it looks plumper and bouncy. Aqua (Water), Propanediol, Glycereth-26, Glycerin, Polyacrylate-13, Polyisobutene, Butylene Glycol, Equisetum Arvense Extract, Avena Sativa (Oat) Kernel Extract, Methylparaben, PEG-60 Hydrogenated Castor Oil, Phenoxyethanol, Caprylyl Glycol, Glyceryl Polyacrylate, Hibiscus Esculentus Fruit Extract, Cereus Grandiflorus (Cactus) Flower Extract, 1,2-Hexanediol, Carbomer, Parfum (Fragrance), Hexyl Cinnamal, Alpha Isomethyl Ionone, Linalool, Butylphenyl Methyl Propional, Hydroxycitronellal, Limonene, Citronellol, Isoeugenol, Dipropylene Glycol, Polysorbate 20, Sorbitan Isostearate, Xanthan Gum, Tromethamine, Disodium EDTA, Sodium Hyaluronate, Propylparaben. I love to use it like how I use Hydraluron, just before moisturiser and after my serum(s). The gel texture allow me to layer it on top of my other serum(s). 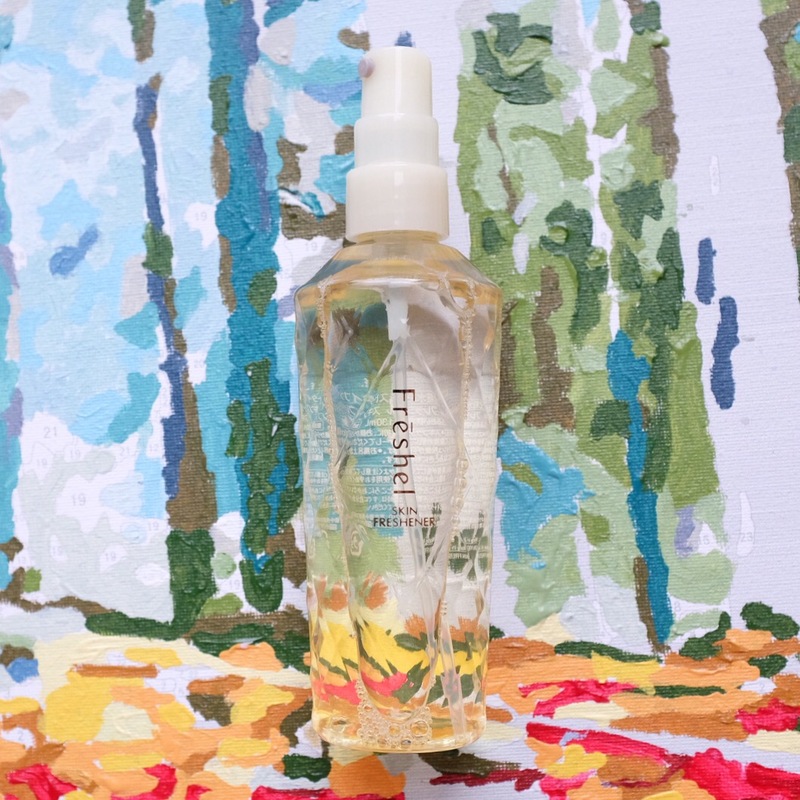 It’s not a secret anymore that Freshel, from Kanebo, is one of skincare brands that I’m deeply in love with. One they have a really effective lineup that works. Two they’re super duper affordable. Unfortunately, they’re not available in Indonesia. No surprise there. One of the few things that my friend got me when she visited Japan was this Freshel Skin Freshener. Lately, I’ve been hoarding face mist because they’re simple and really refreshing on the skin. But I want something with more weight so that it doesn’t get all soaked up by the skin immediately but able to retain the hydration. I used to have Freshel lotion essence and it works great and even better than the Hada Labo lotion. So I trust that this product will work for my skin.